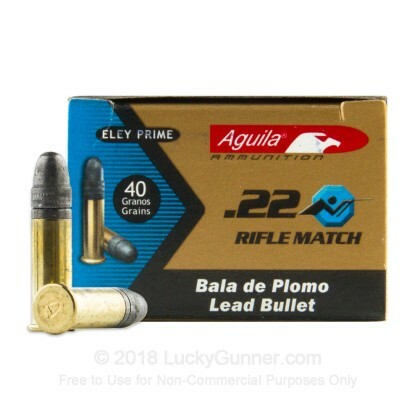 This .22 Long Rifle ammunition from Mexican brand Aguila is a cut above what you'd use to shoot tin cans and squirrels. 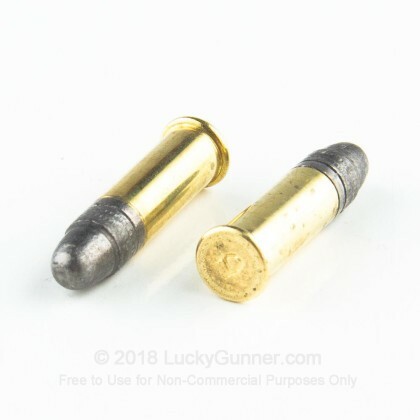 Designed for competitive shooting situations where accuracy is the overriding concern, these rounds fire a 40 grain lead nose bullet and are manufactured to tight tolerances so they'll perform as well as the shooter on match day. 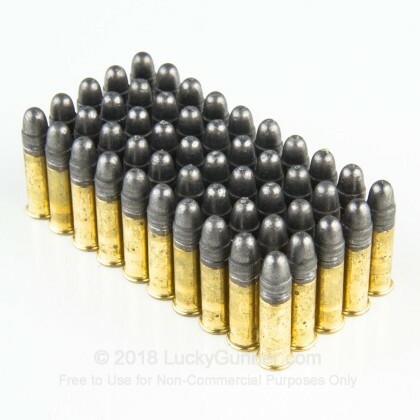 Aguila rimfire ammo is manufactured by Industrias Tecnos of Cuernavaca, Mexico using primers from renowned British manufacturer ELEY. 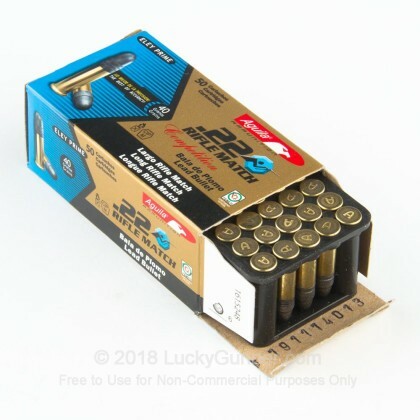 .22LR is one of the top cartridges used in shooting competitions due to its excellent short-range accuracy, low cost, and mild recoil. 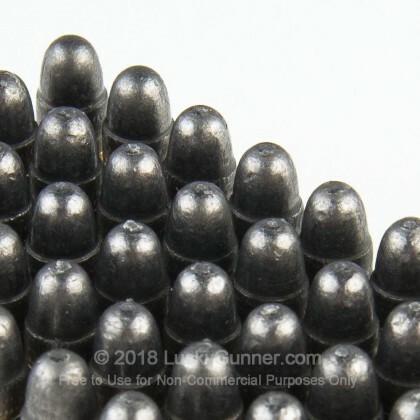 Match-grade .22 cartridges tend to be relatively expensive, but deliver much more consistent results than cheap ammo, making the extra cost worthwhile for those training for competition. 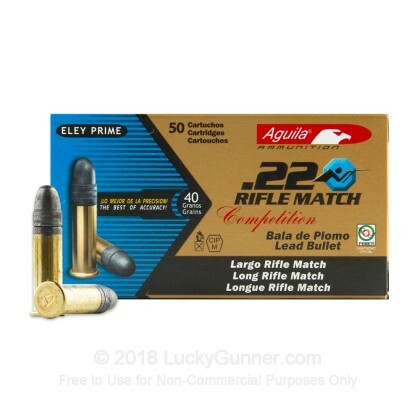 We also have this 22 LR - 40 Grain LRN - Aguila Rifle Match Competition - 5000 Rounds ammo in stock in a bigger quantity.